*Customers should opt-in by texting ACT SAVE to 2525 to be eligible to get the special rates mentioned above. Promo rate plan is valid for 30 days from the date of plan activation (effective from 12/05/2015). Calls to any Lycamobile numbers in Australia are unlimited. Customer must recharge by a minimum of $10 during each calendar month and should have a minimum account balance of $0.01 to be eligible for making calls. Promotion is valid only within the Australia mainland and is not applicable while roaming abroad. Other usage will be charged as per the standard rate. Rate with national plan : Rates with National Plan customers offer is valid for calls within the Australia to standard International landline and mobile numbers only, and for customers with any national & international plan ( not valid for data/data bolt on customers). You will be moved to the standard National and International Rates once the plan expires. 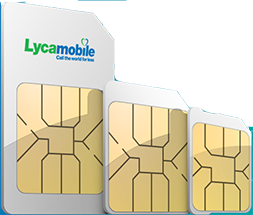 Lycamobile reserve the right to amend or vary the terms of this promotion, or to withdraw this plan at any time by providing 7 days’ notice via lycamobile.com.au, The Rates with National Plan cannot be used in conjunction with the Smart/standard International Rates. If you are currently using the Smart/standard International Rates these will be replaced with the Rates with national Plan once you purchase any national & international plan ( not valid for data/data bolt on customers). you will not be able to Opt-in to the smart rate/ standard International Rates until the Plan expires.